Excellent advice, extremely useful! 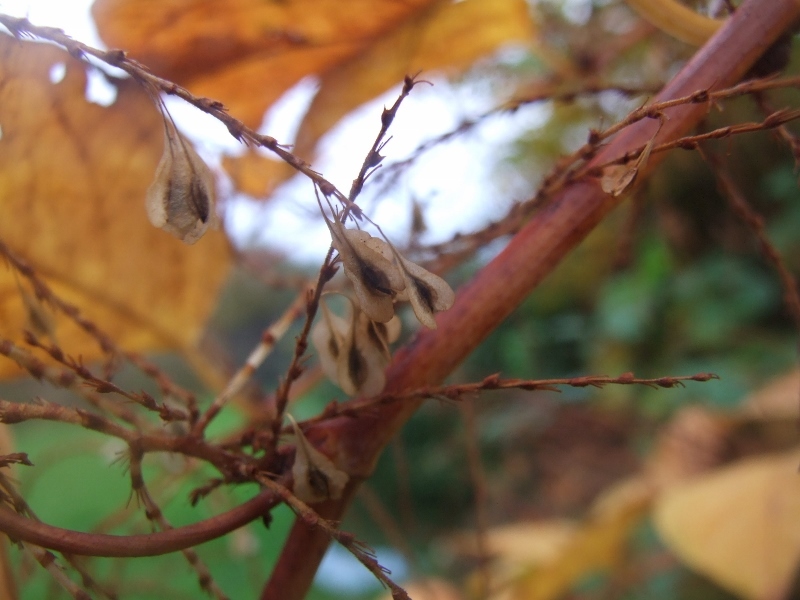 We based the purchase of our home on the feedback we received from Knotweed Control, in relation to how easily it can be treated. It takes some persistent effort but it was well worth it! We're very happy in our new home. Jo was very knowledgeable and always eager to advise on the best approach. We were amazed at the difference after just one year's treatment. The best service I have ever received from a company. Very helpful and quick in providing the information I needed to get a mortgage. 5 Stars - Thank you so much. I am utterly grateful for the help I have received from Jo. When I received an abrupt letter from the purchasers solicitor I sought advice from my neighbour who is having the issue treated. Firstly on initial contact, Jo was so knowledgeable and calming that helped ease my anxieties. I felt like the sale was going to fall through because I couldn't prove the risk to the property. Once we discussed all options available I asked for a report. Jo went to the property without the need for me to be in attendance as I work some distance away and therefore cannot be around during the day. Not 48 hours after my contact with Jo, a comprehensive report was in my email inbox ready to sent to the solicitor. I cannot thank Jo enough for her prompt service, friendly attitude and fantastic customer services. It is a shame there aren't many more superlatives I could use to describe the service I have received. Thank you again!! Jo is very professional, personable and gets on with the job. The quality and speed of the delivery of the final report was exceptional. I am very grateful for a professional service at a reasonable price. Thank you. Excellent advise, extremely useful! We based the purchase of our home on the feedback we received from Knotweed Control, in relation to how easily it can be treated. It takes some persistent effort but it was well worth it! We're very happy in our new home. Having a female operative was for me very reassuring and a definite plus. The level of service and assistance provided was outstanding. Very impressed by the information provided prior to visit and also the way the survey was conducted. Excellent follow up information and a prompt report for lender. Very reassuring response with regard to existing problem. Jo Provided excellent information in a timely and professional manner which was very informative and helpful . I was very happy with the support and advice given . Jo was great, prompt and good value for money. Thanks Jo. Jo Mullet was extremely professional and helpful when helping me with my knotweed problem. She was extremely flexible and able to visit my property at short notice and produced a highly detailed report the following day. I cannot recommend the services of Knotweed Control enough. Jo provided an excellent service. She carried out our survey extremely quickly and her thorough report followed promptly. Jo is an exceptional professional that I would highly recommend. Knotweed Control have been first class in both customer service and professionalism when dealing with myself and surveyors/bank and would recommend to anyone who requires help. Friendly and approachable staff. 100% committed to our needs as a customer. Extremely satisfied. Jo Mullett dealt with my initial query promptly and was quick to do a site visit. Receiving the positive report has enabled me to pass it onto my mortgage lender who has verbally confirmed a mortgage offer. I'd like to thank Jo for her advice and promptness of service and would certainly recommend her to anyone (residential or commercial) in dealing with Japanese Knotweed. Thanks Jo. Jo of Knotweed control was prompt to reply to my initial enquiry and extremely clear and reassuring. She pitched a perfect balance between being friendly/approachable and professional/efficient. Knotweed Control will most certainly be my first call if I have any concerns about knotweed in the future. I found them very professional helpful and quick to react and reassuring regarding treatment of Japanese Knotweed and did not feel the necessity to shop around having once spoken to them. I live in the UK for fourteen years and during this time I've realised that everything is happening very slow and nobody rushes for anything! However this wasn't the case with Ms Jo Mullett from Knotweed control! As soon, as I contacted Ms Mullett and explained that I was going to lose the deposit on my property, she responded extremely quickly and professionally! The survey was carried out the very same day after working hours, as she was very busy! The report was then prepared and emailed to me the following morning! The treatment plan with the quote followed just couple of days later and the actual treatment has been carried out less then a week since I first contacted Jo. Unbelievable!! Due to the competence, professionalism and excellent organisation and time management skills, which Ms Mullet have showed, I am now in a position to request the retention on my mortgage to be removed and can go ahead and complete the purchase of my house on time. 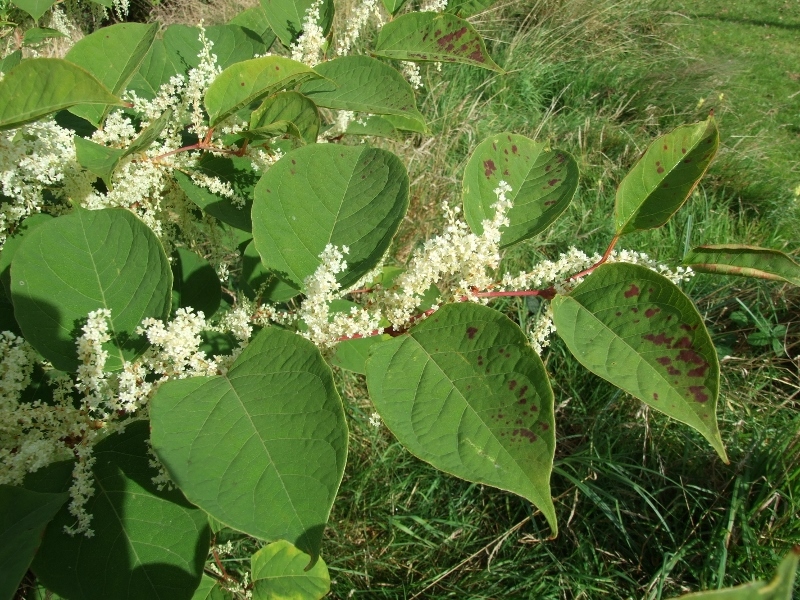 I am so glad that I've contacted Jo and used her services and would definitely recommend her to anyone having problems with japanese knotweed! I wish Ms Jo Mullett all the best in the future! Would thoroughly recommend Jo for JK control. excellent and very thorough company and very reliable. 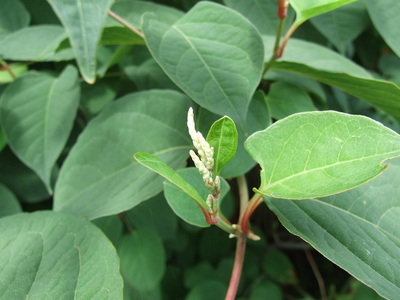 I am more than pleased and would recommend Knotweed Control to anyone. I will continue to use the firm in the coming years. Paula, Morriston. The contents & photographs on this website are subject to copyright by © Knotweed Control 2015 & can not be used without prior agreement.